To this day, I appreciate the importance of the proper application of both grammar and a wrench to get things done. I have had the opportunity to manage and lead construction and expansion projects, and technology initiatives.Â Experienced with local, state and federal government coordination, permitting, licensing, and approval. Thaat also includes crafting contracts, management agreements, business plans, and intellectual property agreements. From 2003-2008, I was Chair of the NPR Distribution/Interconnection Committee for the Public Radio Satellite System (PRSS). 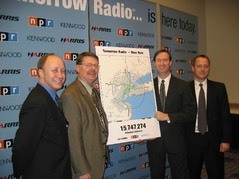 We worked to bring 400 stations and 200 program producers through the rollout of a new, complex program delivery system. I was co-Founder and Manager of this advanced-technology programming service for public radio stations across the country.Â Using an innovative distributive production model with staff and producers located across the nation. JazzWorks was awarded major Corporation for Public Broadcasting â€œFuture Fundâ€� grants for developing new hardware, software, processes, creating new services, and sustainable business models. 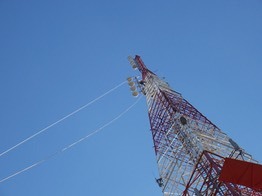 Member, National Radio Systems Committee (National Association of Broadcasters and the Consumer Electronics Association), 2006 to 2011. 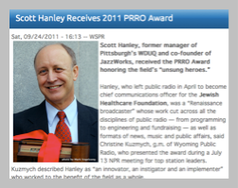 On July 13, 2011, I was honored to receive the PublicÂ Radio Regionals Award, granted to â€œunsungâ€� heroes in public radio.